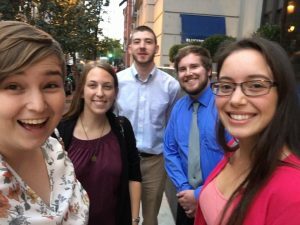 IUP Goes to ACRA’s 24th Annual Conference! The American Cultural Resources Association (ACRA) is a national industry trade group whose primary mission is to advocate for the wide-ranging interests of the cultural resource management (CRM) industry. 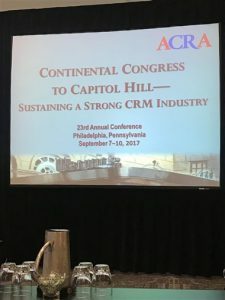 Complete with their own code of ethics and recommended best practices, ACRA members include a diverse group of large and small firms who work across the country in the CRM industry. 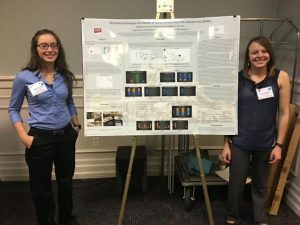 Second year graduate students in IUP’s Applied Archaeology program had the opportunity to attend ACRA’s conference this past September 6-9th. 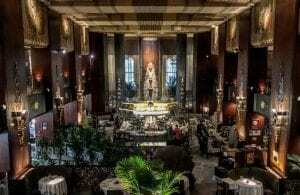 The conference was held in the beautiful French Art Deco styled Carew Tower, also called the Netherland Plaza Hotel in Cincinnati, Ohio. 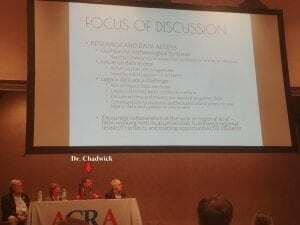 Unlike the many academic and research focused anthropological conferences that are held yearly, the ACRA conference is specifically geared to those who work outside of academia, in the private or public sectors of the CRM industry. 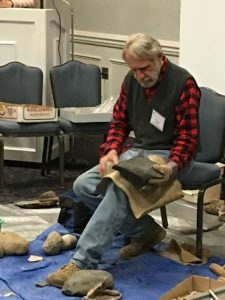 It is for this reason that attending the conference was such a great experience as it provided valuable insight into the issues facing archaeologists working outside of the academic field. Students had the opportunity to sit in on a number of topics that ranged from how the current political climate was affecting the CRM industry, to how professionals should proceed in the wake of the #metoo movement. This conference also gave students the opportunity to network and engage with business owners and experienced CRM professionals in a relaxed and relatively informal atmosphere. 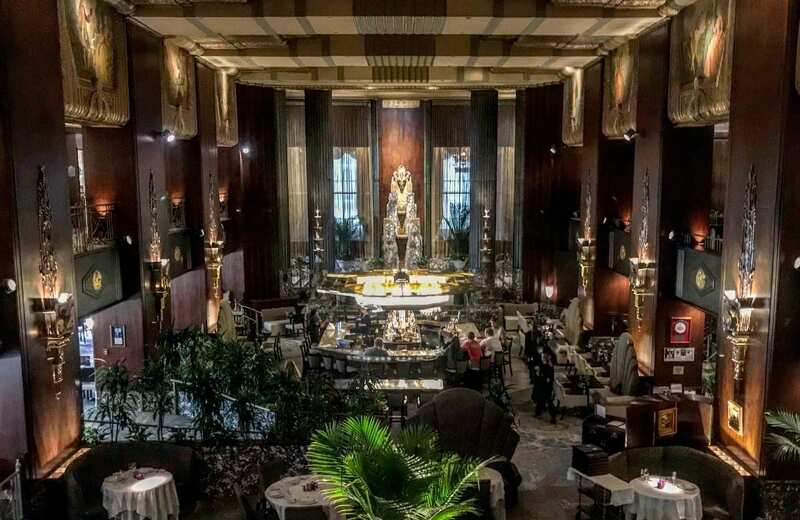 Photo overlooking the dining hall in Carew Tower, taken by Ross Owen. Lobbyist, noted that the decisions being made in Washington have the potential to create more work for CRM professionals, especially if lands that were formerly protected are opened for development, but that efforts to stream-line undertaking these projects to create money saving short cuts, have the potential to be very destructive to cultural resources. Session 5 was titled “Building Great Workplaces: How the #MeToo Movement is Affecting the CRM Industry.” This was an excellent discussion on the ways that not only management and business owners should handle the reporting of workplace misconduct or sexual harassment, but also the steps employees can take to be heard, and the legal ramifications of such conflicts. This session was presented by attorney Julie Pugh, which made for an extremely informative dialogue that was given from the perspective of the people who counsel, litigate, and resolve these types of issues. Pugh had a lot of valuable insight on how to handle these difficult situations appropriately, and within the bounds of the law. The final session that I found particularly interesting was Session 10, which discussed the ways that the Academy and the CRM industry can promote “synergy” between each other. IUP Professor, Dr. William Chadwick was a panel member during this discussion as he has worked for many years as both an industry professional and as a university professor. A task force was created within ACRA to work towards accomplishing the goal of improving the relationship between CRM and the academy. This session had a lively discussion and audience members were very keen to share ideas and stories, as well as complaints with the panelists and each other. The consensus was of course, that there should much more collaboration between the two fields, however the exact method for promoting this is still debated. By attending this conference students were given the chance to get an in depth look at the people, companies, and issues that make up the CRM industry. Unlike many other academic conferences, there were very few students in attendance at ACRA. I hope that in the future universities and companies alike can work to encourage more students to attend, as all of us at IUP found the conference to be valuable and fun! For the third year in a row Dr. Phil and I have just had a great time participating in the Society for Pennsylvania Archaeology (SPA) field trip. This annual road trip over a long weekend in early June is an opportunity for SPA members and their guests to see some of the fabulous archaeology excavations, sites, and museums within driving distance of Pennsylvania, while also getting to know other professional and avocational archaeologists from across the state. Dr. John Nass of California University of Pennsylvania and I have done the planning and leading of each field trip, while Dr. Phil has been one of the van drivers. 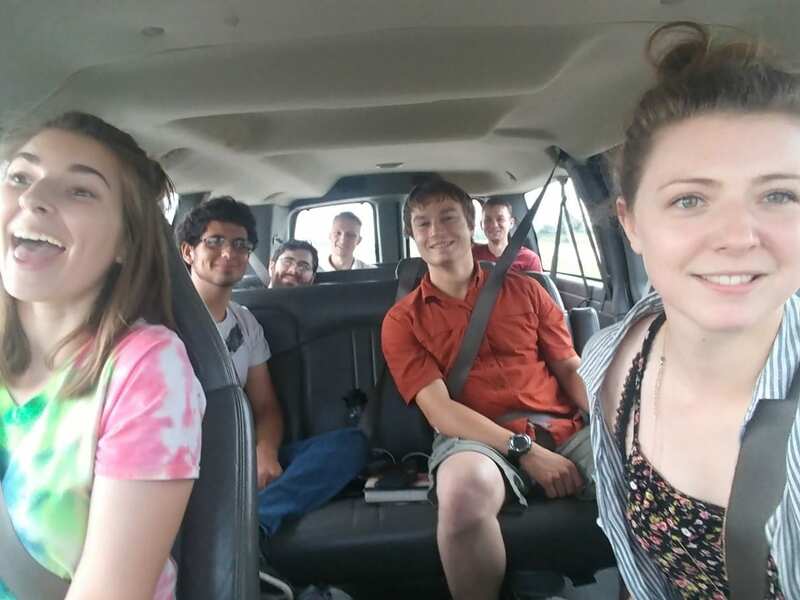 This year we loaded up two vans and headed north to New York state to visit several museums and their archaeological collections. There was an emphasis on the Iroquois Indian nations of New York although we also learned about other archaeological and anthropological topics and research as well as saw some fabulous contemporary Native American art. This year’s field trip started with an orientation and social time at our hotel in Binghamton, NY on the evening of Thursday, June 8. Early Friday morning, June 9, we headed for Albany and the New York State Museum. This is a museum I feel like I know because of research collaborations, especially the Ripley Archaeological Project, which was an IUP/NYSM project in the 1980s and 1990s. Dr. Phil and I have been to NYSM many times for research purposes and visited the exhibitions several times. Nevertheless, the tour organized for our SPA group by Dr. John Hart, Director, Research and Collections Division, gave us a much better sense of the vast collections held by the museum as well as of the variety of archaeological research going on there today. The NYSM holds more than 16 million objects, specimens and artifacts and its research staff is active in the areas of archaeology, ethnology, paleontology, geology, botany, and history. On this trip, we were privileged to see specimens and artifacts and hear about research on Paleoindians in New York State, on Iroquoian and Algonquian groups, on historical archaeology done in New York City, on the Albany Almshouse cemetery including the facial reconstructions done for skeletons, and more. We saw a great many really cool artifacts as well as some of Louis Henry Morgan’s ethnological collection, but my favorite thing might have been the huge quantity of maize kernels recovered from a single feature (see photo below) because it really underscores how central maize must have been in people’s diets in Late Pre-Columbian times. The only downside of our trip to the NYSM was that the Research and Collections staff gave us such an interesting and thorough tour that there was limited time to see the exhibits. A more complete viewing of these will have to wait for another visit to this great museum! After NYSM we went to the much smaller Iroquois Indian Museum in Howes Cave, New York, a private non-profit educational institution that promotes understanding of Iroquois culture. It was started by an avocational archaeologist and has large archaeological collections, but it also displays a comprehensive collection of contemporary Native art, a children’s area featuring the Iroquois Creation story, and nature trails, which we did not attempt. We did, however, get an introduction to the museum from their Archaeology Department head, Fred Stevens, who happens to be a long-time SPA member. Friday evening we stayed in Schoharie, NY and had an thought provoking lecture on New York State archaeology and the limitations of the culture history approach by Dr. Hart of NYSM. The second day of our fieldtrip, Saturday, June 10, was a little less hectic although we did a lot of driving across much of New York State from Schoharie to Rochester, NY. We did break the trip with a stop for a picnic lunch and a wine tasting at a winery in Seneca Falls, but before mid-afternoon we arrived at Ganondagan State Historic site and the Seneca Arts and Culture Center in Victor, NY. This museum is at the site of one of the last large settlements of the Seneca, which was burned by the French early in the historical period. Here we were given a tour by a young Mohawk interpreter of the newly built center which has fabulous exhibits about the site and traditional Seneca culture, before we were taken to tour the bark longhouse reconstructed on this site. This is one of the best longhouse reconstructions I have seen with the interior as well as the exterior creating a real sense of these multifamily structures. Saturday evening in our hotel in Rochester, we had an eye-opening talk by Jay Toth, archaeologist for the Seneca Nation of Indians, about recognizing past cultural landscapes through the plants encountered while surveying. Sunday we wrapped up our trip with a visit to the Rochester Museum and Science Center (RMSC), another New York Museum with extensive Iroquoian collections. 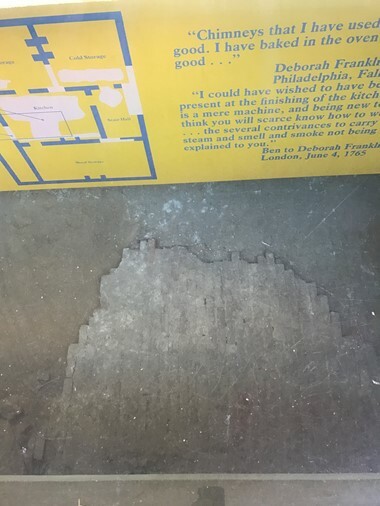 Unfortunately, the museum was experiencing a serious water main break when we arrived, and was in the process of closing. However, our tour went forward in abbreviated form, and we were very ably led by George Hamell, a noted Iroquoian scholar. George took us through the exhibits of the Rock Foundation collections displayed at Rochester and into some of the laboratory and collection space. Here too we saw fabulous collections representing early archaeological and ethnological acquisitions. George also shared with us the Rock Foundation’s position that it does not have to comply with NAGPRA because it is a private, non-profit entity. Some of the objects they hold certainly are sacred objects and objects of national patrimony. Though technically correct, there are ethical issues related to cultural sensitivity posed by our even being able to view these items, and we had some discussion about this aspect of our visit including that we should be mindful of the privilege we were granted. By the time we finished our tour, we were the only visitors remaining and even the lights were shutting down; it was actually slightly spooky. We had a quick picnic lunch in the cafeteria area and left the museum to struggle with its water issues as we headed home to PA. As you can tell, like each previous field trip we have done with the SPA, this year’s trip was full of chances to see and hear about lots of cool archaeology and artifacts as well as to learn from scholar experts and think about topics relevant to archaeology, anthropology, history, and science. 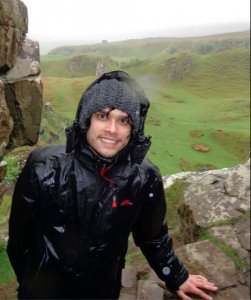 The part that is harder to convey is the fun and camaraderie that developed within the group. There really is nothing like a road trip with other people interested in similar things, especially when they are archaeologists! So we recommend that you keep your eyes open for next year’s SPA trip – destination to be determined. Even if this is not possible, keep in mind that the museums we went to are great places to visit individually as well, so add them to your itinerary when you are in New York State. 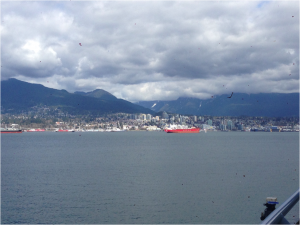 American Grad Students in Canada: Our trip to the SAA, eh. Hello! We are Matthew Bjorkman and Britney Elsbury-Orris, and this is our first contribution to Trowels and Tribulations, and honestly…what took so long! We are both first-year graduate students in the Applied Archaeology program, and we have had the pleasure of attending way too many conferences this semester. 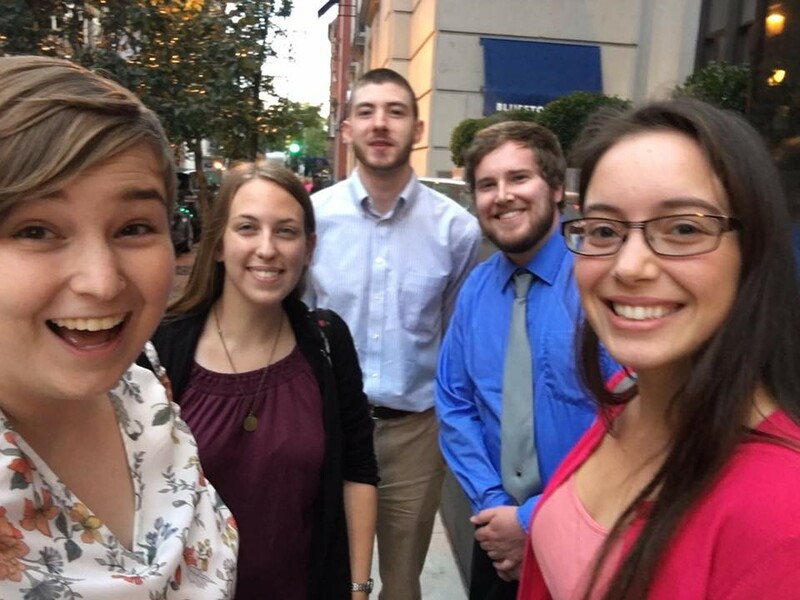 At the end of the fall semester, while we were riding the high of turning in our final assignment, we volunteered to become members of the IUP Ethics Bowl team. While we did not fully understand the time commitment we had just signed up for (we blame the lack of sleep), we knew that it would give us an opportunity to flex our ethics muscles in competition at the 82nd annual meeting of the Society for American Archaeology in Vancouver, British Columbia. Despite being poor college students once again , we were able to book our trip. Departing from Pittsburgh at way-to-early in the morning, we had a short layover in the San Francisco airport before finally arriving in Vancouver the day before the conference (Trip bonus: we flew on United on both legs of our trip and neither of us was asked to give up our seat or got stung by a scorpion). After wandering aimlessly in the city for an hour, we arrived at our hotel, Hotel Blu. The hotel was fantastic, far too classy for this duo. 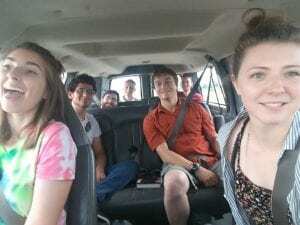 Our first day, the day before the start of the conference, was spent figuring out how to get our phones to work in a foreign land, and meeting up with Ethics Bowl teammates and other IUP students. We got together and searched for a spot to grab dinner. After searching for a restaurant that Matt swears was selling a pound of wings for $3, we abandoned our search and settled for the White Spot. Here we tested the local brews, ate exotic poutine, and discussed our up-coming presentations and competition. 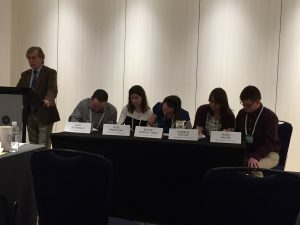 The Ethics Bowl was on the first day of the conference. Fighting off jet lag and the exhaustion of traveling 3,000 miles, team IUP arrived at the Hyatt hotel at 7:30 in the morning. Practice run-downs of our cases and guidance from our mentor did little to calm our nerves. With friends and fans in the crowd, our team performed wonderfully, crushing the cases that were presented. We solved the issue of the troubled museum exhibit, and we fixed Sandy Melmac’s curation crisis. Sadly, we did not crush the competition, and lost by 1 point to the home town Simon Fraser University. sited the poster presentations of our IUP colleagues and explored the projects of archaeologists from around the world. We even networked at a CRM (cultural resource management) expo with other archaeologists who were looking for people to work for them over the summer, part-time, and permanently. Even though we were in Vancouver for a conference, we made time to have a little vacation for ourselves. We explored the city experiencing its beautiful scenery and the other great things that Vancouver had to offer. We reunited with long lost friends from our undergrad days at Penn State and even met up with those we had already met at IUP over countless dinners and drinks. 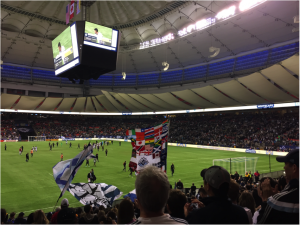 We also had the opportunity to attend a MLS soccer game featuring the Vancouver Whitecaps and the LA Galaxy. 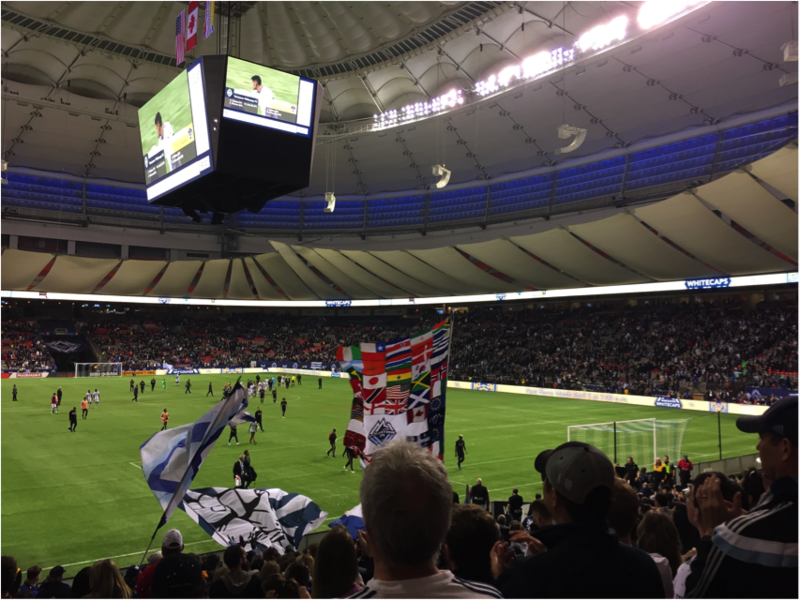 We sat in the supporter’s section and like to think we were the reason why the Whitecaps got their 4-2 upset victory. In conclusion, even though we did not win the Ethics Bowl, we still had a lot of fun on our trip. The Ethics Bowl gave us the opportunity to get an idea of how we should prepare and what we should expect next year in Washington D.C., when we win. 😉 We got to attend presentations in which we learned about various archaeological work being done throughout the United States and even within Canada and other countries and gained ideas for our future research. We got to see old faces in which we talked with them over many dinners and drinks. We even got to meet new ones in prospects for a CRM job in the future and go to our first MLS soccer game. If you get the chance, take the opportunity to attend this conference. It will definitely benefit you in the long run! Hopefully we will see you all next year in Washington D.C. for the 83rd annual SAA meeting and our second Ethic’s Bowl appearance. Hello everybody, if you haven’t met me yet, I’m Zaakiyah Cua and I’m a first-year graduate student in the Applied Archaeology program at IUP. I’m currently barreling through my second semester. The past seven months have been a whirlwind of gaining experiences and building relationships which will last me the rest of my life. 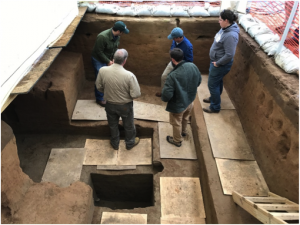 I could go on forever about the many opportunities I have taken advantage of at IUP, the wonderful faculty, and my awesome cohort, but I will focus this post on my recent experience presenting at and attending the Mid Atlantic Archaeology Conference (MAAC). Zaakiyah and Britney with their poster. 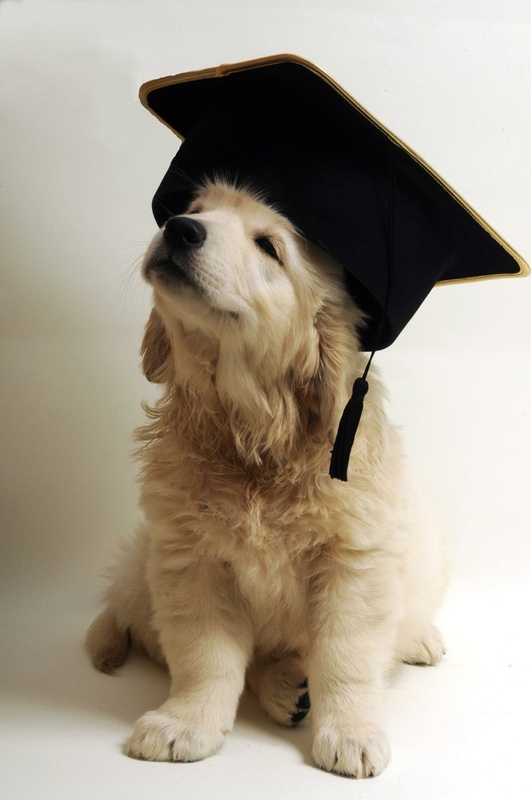 During my first semester of graduate school I took Zooarchaeology taught by Dr. Sarah Neusius. One of the class assignments required me to identify and analyze a collection of about 1000 faunal remains from the Johnston Site, a Monongahela village site which IUP had previously excavated at for several seasons. The faunal collection I analyzed was then combined with collections analyzed by other classmates from the same site. We then each wrote an independent faunal report which analyzed the full collection (about 4000 bones). 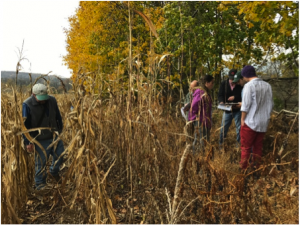 During the semester, Dr. Neusius suggested the possibility that the faunal analysis could be furthered and the results presented at a conference in the spring, either MAAC, SPA, or both. I approached Dr. Neusius at the end of the semester with another member of my cohort, Britney Elsbury-Orris, and expressed interest in working with the faunal collection further. 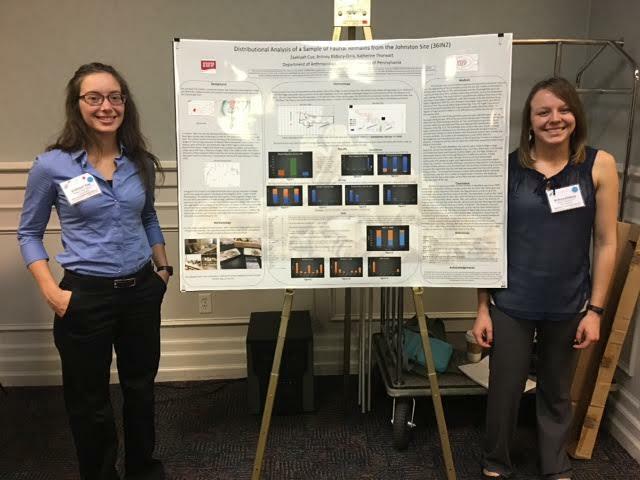 As the deadline for MAAC submission was quickly approaching and we were now through finals and gone for winter break, we quickly put together a poster presentation abstract and registered for MAAC memberships as well as attendance to the March conference. Our final product was a poster which discussed how faunal remains varied between the village plaza, domestic areas, and village stockade trenches. We found that faunal remains in the plaza were highly fragmented and highly burned while remains in the stockade trenches and domestic area contained more diverse burning and were less fragmented. Additionally, it appeared that the stockade was used to dispose of and burn refuse. MAAC was in Virginia Beach during the last half of spring break. I had never been to Virginia Beach and I had never been to MAAC and I was really looking forward to the trip. In addition to Britney and myself, several other IUP archaeology students attended, as well as Dr. Chadwick who presented a paper. The conference did not disappoint. 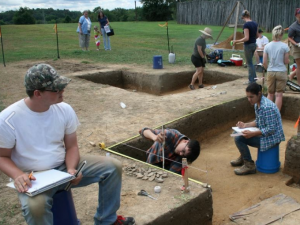 Not only was the conference extremely diverse in terms of research presented, the attendees and presenters were equally split between CRM archaeologists, students, and archaeology professors or university affiliated faculty. Additionally, the MAAC Student Committee scheduled several events throughout the weekend. Some of these events included a flint knapping workshop, a raffle and social mixer, resume reviews, and other social events. MAAC also offers student scholarships which are provided by sponsors. These scholarships cover conference registration for students presenting and attending the meeting. Volunteering at the registration booth also waives the registration fee. I volunteered and thought it was well worth it as I met many people and networked during the three hours I was at the table. Overall, the conference was a success. Although there were a few hiccups along the way, our poster turned out well and we received positive feedback regarding our research. I would highly recommend students attend the MAAC meeting in the future. If possible, I recommend presenting either a poster or paper at the conference. Single authored submissions can enter the paper and poster competitions. There are also opportunities for students to become involve with the MAAC Student Committee as a student representative or other officer position. This is a wonderful way to meet other students, become involved, and represent IUP at MAAC. Attending My First ESAF Conference! The conference experience for a typical graduate student can range from total exhilaration in meeting and connecting with new people and discovering new work being done to terrifying bouts of stage fright if you need to present. 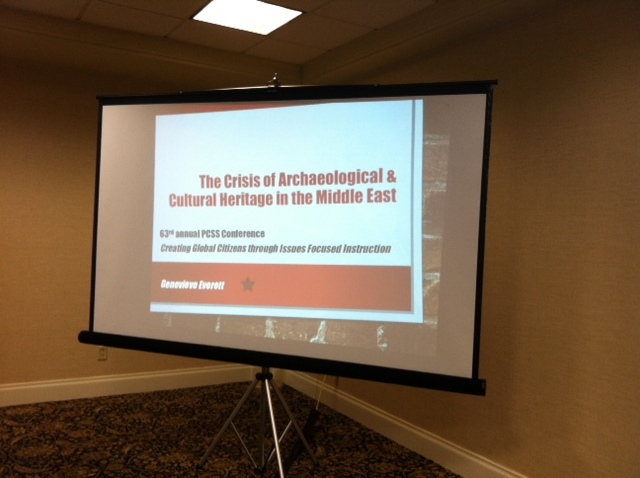 Luckily for myself and the crowd- I was not presenting, and I attended my first Eastern States Archaeological Federation (ESAF) conference solely as a care-free attendee! 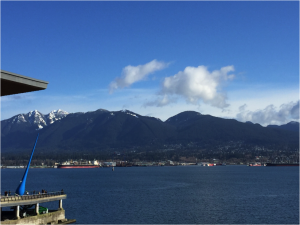 This allowed me the focus and ability to attend almost all of the conference, so please enjoy my synopsis of a wonderful meeting. 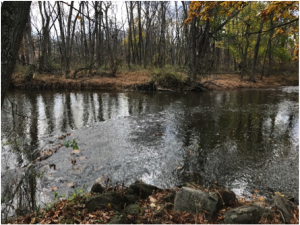 ESAF offered an incredible fieldtrip on Thursday November 3, 2016 that visited two of the most notable Paleo-Indian sites in New Jersey: the Snyder Complex and the Plenge Site. The tour was well attended, and began with a caravan of our vehicles that arrived to the Snyder Farms location. Jen Rankin (Temple, AECOM) and Michael Stewart (Temple, NJHPO) took visitors through an imaginative journey of what the site would have looked like then and now. Their study has partly focused on examining and understanding the past Paleo environment along the Delaware River, and how this changed through time. Guests were treated to a special look at Jen’s current excavations and were offered a hands-on experience with the artifacts that were recovered from the site! 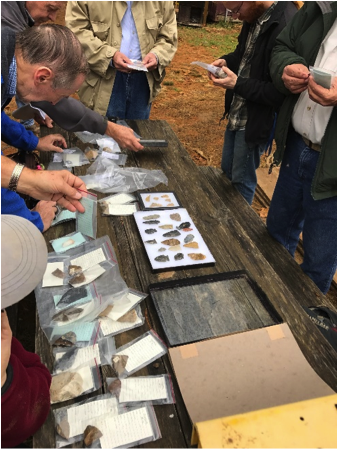 The Plenge Site tour was led by Joe Gingerich, with a special visit from Leonard Ziegler (SPA) who has been instrumental in collecting and recording the site since its discovery in the early 1970s. The Plenge site is one of the most important Paleo sites as it has produced 226 fluted points to date. The tour consisted of your everyday corn fields along the riverfront, and what a view it was! The Friday sessions I attended delved into Pennsylvania quarries and discussed where Native Americans were obtaining their toolstone. If you went to the SPA meeting this past spring- Friday was a repeat of that. 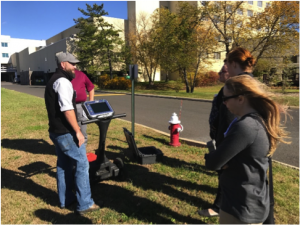 A real treat was when Peter Leach from GSSI gave the IUP crew a special demonstration of the new GPR model SIR 4000! We all did some transects right there over concrete and disturbed areas, and of course he showed off the instruments new bells and whistles. Friday night was the Canadian-American Friendship party, and while I went with the intention of meeting Canadians, I actually met archaeologist from SUNY and UCONN! I did ask Kurt Carr where I could find some Canadians to introduce myself to, and he jokingly replied to find the people holding the green beer bottles! Being that I have a great interest in Historical Archaeology, I was ready for the Saturday session that consisted of multiple presenters who worked on the I-95 project- Urban Archaeology in Historic Philadelphia! This was exceptionally entertaining for me as I am going to begin excavation on my first privy next week, and many of the AECOM presenters spoke about the privies excavated on this project, over 400! I always try to make the very most of every conference, and ESAF was no exception. I was able to learn many new things, meet new people, and reconnect with the ones I admire! I would call this meeting a success, and encourage all of you to attend as many of these types of events as possible. This past weekend I drove out to Harrisburg for the 63rd annual Pennsylvania Council for Social Studies (PCSS) conference. The conference theme this year was “Creating Global Citizens Through Issues Focused Instruction”. t sites for their own personal collections. I continued to explain context and its importance in archaeology. When artifacts and features are looted, broken or completely destroyed, they lose their meaning and interpretive value. I ended the discussion by talking about Sarah Parcak, the satellite archaeologist that is using satellite imagery to compare maps over time that show increased looting, especially in Egypt. Parcak hopes to use these maps to prevent further looting of sites worldwide. Did I mention she is my hero? To read more about her research follow the link below! My main goal at this conference was to get these teachers interested (and excited) in incorporating archaeology into their curriculum by providing resources that they can use in their classroom. 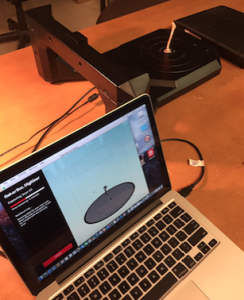 One such lesson plan called, “Trash Talk” has students examine modern trash the way that archaeologists look at trash pits to make inferences about the people that were using the objects, and how they were used. I even found a lesson plan pertaining to context, which I will provide a link to below. I had fantastic social studies and history teachers growing up, but I do not recall being taught archaeology at all. I hope that my presentation opened the eyes of some of these teachers, veterans and newbies to a new way of presenting the past to their students.